In 1983 the history of Cymryd Rhan began with the ‘All Wales Strategy for the development of services for mentally handicapped people’ being launched by the government. Which was timely for a group of parents of children with learning disabilities. They were concerned about what would happened to their children as they grew up and the parents got older. The group of parents started fundraising and got a loan from the Quakers in 1985. They purchased a small holding on the outskirts of Llandrindod Wells known as ‘The Radnor Smallholding Project’ also known as ‘RSP’. Later to be known as ‘The Radnor Support Project’. The project was inspired by the International Camphill Movement. Which, since the Nineteen Forties, had been creating communities where the spiritual uniqueness of every individual, regardless of disability, could be respected and fostered through a healthy relationship with the living world. The smallholding would have a cow, a horse, sheep and chickens – and the ground would be prepared for growing fruit and vegetables organically. The produce would be sold at the local market so that the people working on the smallholding would have strong roots in the community. The farmhouse was renovated to provide a residential care home suitable for people with learning and physical disabilities. The first in a series of supported living projects: for it became apparent that there were people who needed some support some of the time, but not twenty-four hours a day. Flats were newly built closer to the centre of town. Over time the house was available for anyone living locally in need of supported living. While the land would be used for work training and gaining qualifications by anyone who needed it. 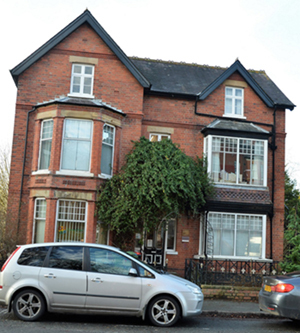 In 1996 the history of Cymryd Rhan continued with the purchase of Wellfield House in the centre of Llandrindod. It was to be the company head office as it still is today. The upper floors were used to accommodate the increasing number of office workers needed to manage a growing company. The lower floors became a centre for daytime activities and a base for people to access whatever activities were available in the local area. Meaning we were supporting more people than ever from Wellfield House or in their own homes. Due to changes in funding and local government policies, funding was withdrawn from RSP. The decision was made to sell the small holding …..It was the end of an era. In 2003 the company changed its name to Cymryd Rhan, meaning Taking Part. Its’ new emphasis would be on supporting people to take part in existing community facilities, rather than on creating new ones of our own. We would support anyone who needed help, anywhere in Wales. And new supported living projects soon started in other counties. Today ….. We still have the same values and strive to support vulnerable people throughout Wales. Helping all to live their lives independently and in the way they choose.